Astigmatism can be defined as a type of refractive error in which the light focuses at different points in the eye instead of being focused on the specific area of the retina. This results in blurry image and the blurriness affects both, the distance and near acuity. This condition is basically caused by improper shape of the cornea but it also occurs due to certain changes of the lens. Astigmatism can be classified as regular and irregular. Regular astigmatism is more common and it is symmetrical which makes it easy to be corrected with eyeglasses and contact lenses. On the other hand, due to its characteristics irregular astigmatism simply cannot be treated with eyeglasses or soft contact lenses and is best treated with rigid gas permeable lenses. Astigmatism can be inherited. It may also be a symptom of other eye diseases such as keratoconus or cataracts. And finally, astigmatism may develop as a consequence of ocular injuries and surgeries. This refractory error is easily diagnosed and quantified with the assistance of two tests. The first one is known as keratometry and the second one is the refraction test. Gas permeable contact lenses are semi-hard lenses and they are usually smaller comparing to soft contact lenses. Once they are applied they correct astigmatism by making the surface of the eye spherical. These contact lenses provide with clear and stable correction of the refractory error and they are generally more economical since the same pair may last for several years. Furthermore, gas permeable contact lenses are easy to handle. On the other side, the most prominent disadvantage of gas permeable contact lenses is the initial discomfort. One may require a couple of weeks before completely adapt to rigid piece of plastic in the eye. Soft toric contact lenses are very flexible. There are many designs of these contact lenses. The most common is prism ballast. The advantage of these contact lenses is that people adapt to them rather easily and quickly. Even initially they do not cause the same level of discomfort which is typically associated with gas permeable contact lenses. They can come in different colors. Some of them are changed after years while others need to be replaced after a month or a couple of weeks. Four week disposable soft contact lenses are most commonly used. The only problem associated with soft contact lenses is that they freely rotate and may cause vision fluctuations. Apart from these standard contact lenses for astigmatism there are also hybrid lenses. Hybrid lenses are actually a combination of the previous two types of lenses and they combine all the best characteristics of both gas permeable contact lenses and soft toric contact lenses. Should I use toric contact lenses? Which are the best contacts lenses for nearsightedness? 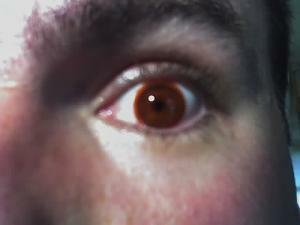 Novelty contact lenses: Are they safe?